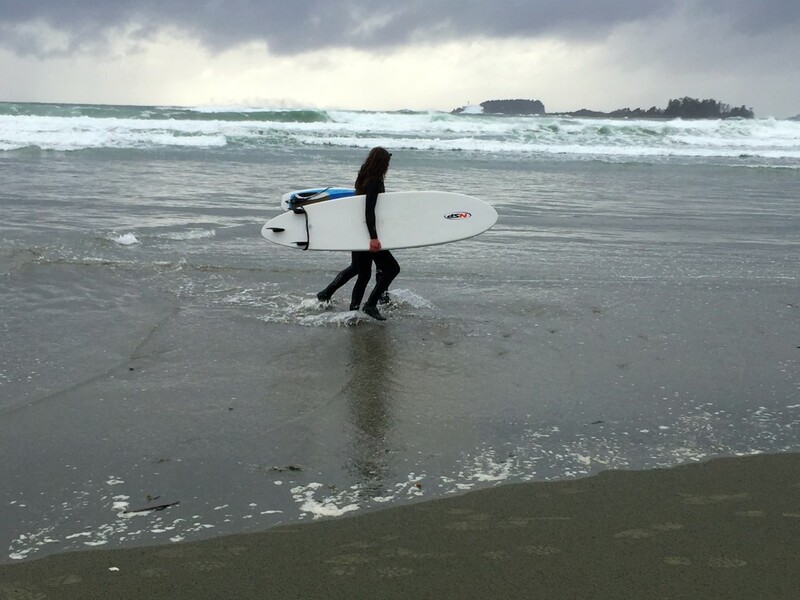 Looking for a reason to visit Tofino? Really, who needs a reason to visit this charming village on Canada’s wild west coast. 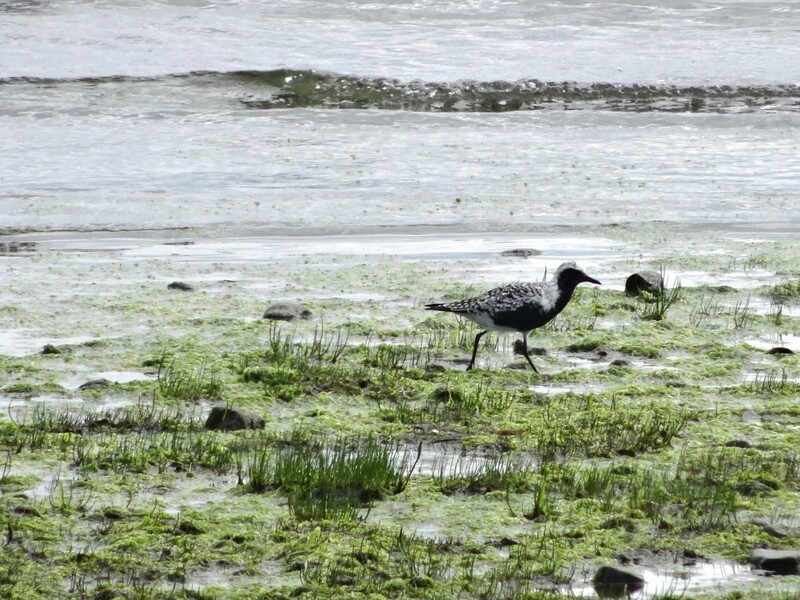 But if you need an excuse to get out of town, try visiting Tofino in May 5 – 7th for the Shorebird Festival. There are fewer people in the shoulder season but there is still plenty to do and the festival lets you take part in the community celebration of returning visitors. 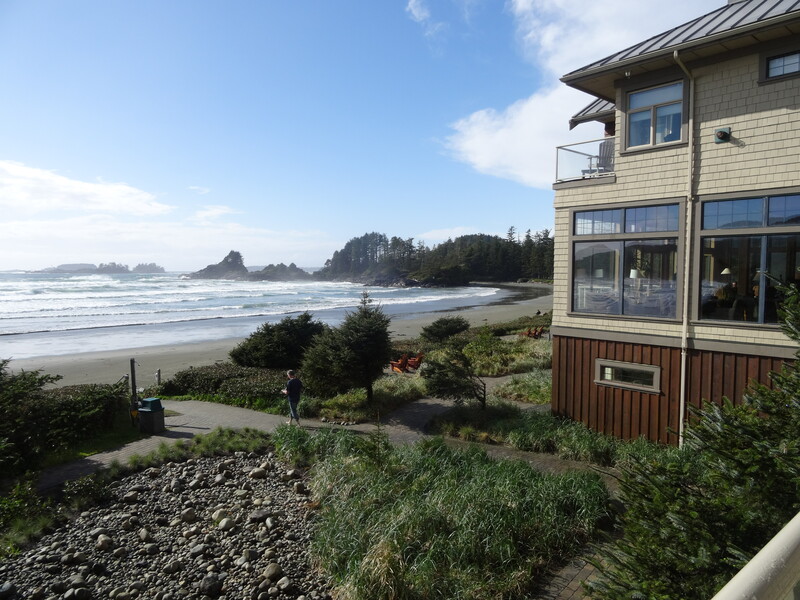 Grey whales move back into the Tofino area in March and April, orcas can be found year-round and humpbacks start to appear as summer approaches so Tofino is always popular with whale watchers. 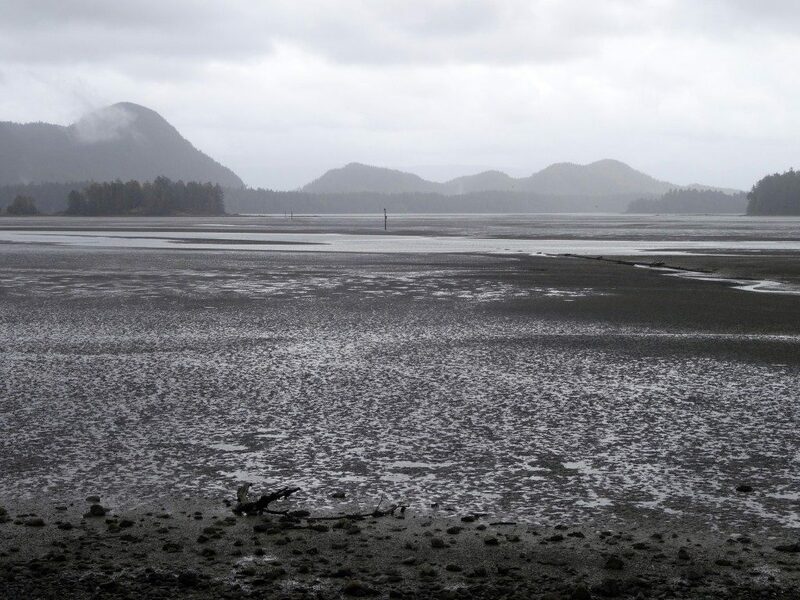 What few realize is that Tofino’s mud flats are important feeding areas for birds migrating to Alaska from points south. And thousands of birds arrive in early spring. Don’t know a shorebird from Sesame’s Big Bird? If you don’t know much about birds or doubt your spotting skills, don’t worry. 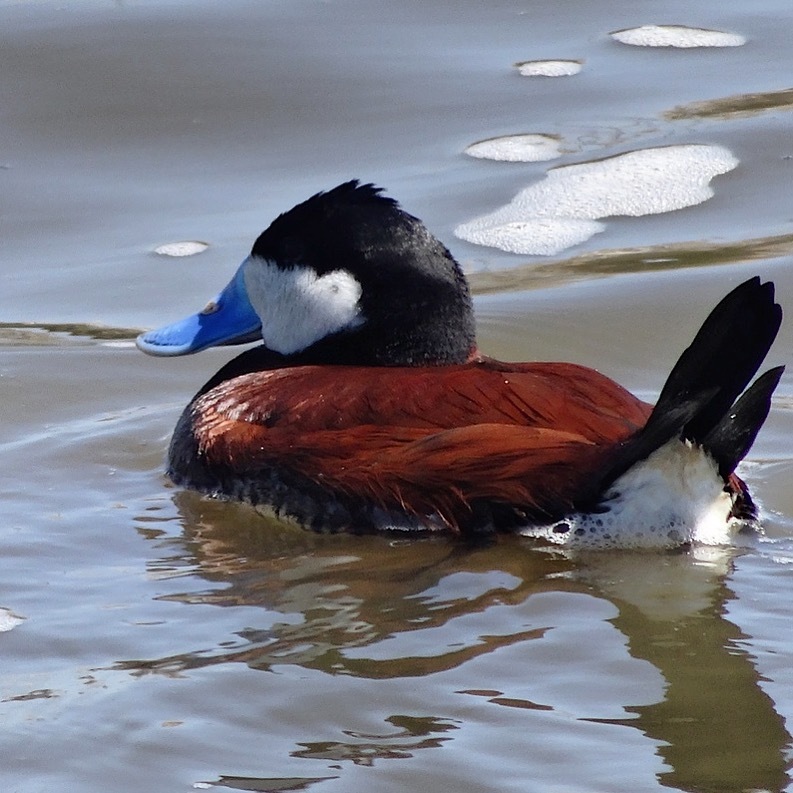 The festival organizers are offering dozens of events over the weekend that will teach you about birds, for the keen and the not-so-keen (you know who you are)! When you’ve had enough of mud flats and bird identification, warm up with some flaming gin at the Long Beach Lodge Resort‘s Great Room. Thawing out your wet feet while sipping on one of the locally sourced spirits gives you another angle on the forest. I had the pleasure of sampling The Great Room’s cocktails at last year’s festival. You can read more here about what happens when your drink catches fire! 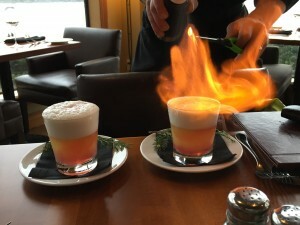 When your drink catches fire – take a picture!